Scientists have demonstrated a new technique for designing effective wildlife migration corridors while reducing the costs of conservation. The method will assist managers of public and private lands that provide routes for animals to roam. Researchers have long known that such migration corridors are crucial for conserving rare and endangered species. For example, land has been set aside in Africa and India to enable elephants to migrate. In Canada, structures have been built to enable wolves and other animals to cross highways. Focusing on one species at a time, however, has proved to be expensive. Developed by a team including researchers in the College of Forestry at Oregon State University, the new method can meet most of the migratory needs of two species simultaneously while reducing the total cost of buying land by about three quarters. "We demonstrate that a lot of potential gain can be made at moderate increases in cost as you try to connect habitat areas," said Claire Montgomery, a forest economist at Oregon State and one of the researchers on the project. "Looking at trade-offs between target species is something that no one has done, as far as I know, in terms of corridor design." Research such as this can help land managers who juggle competing priorities, including biodiversity, the scientists said. Species such as grizzly bears and wolverines range over large areas, some of which overlap. The animals need to be able to move between wilderness, parks and other reserves to avoid becoming inbred and losing genetic diversity. The research was published in the journal Conservation Biology. Scientists at Oregon State, the Georgia Institute of Technology, the U.S. Forest Service Research and Development, Cornell University and the U.S. Geological Survey collaborated in a five-year effort to develop a computer model that could be applied to wildlife corridors. "This approach could revolutionize the process of corridor design," said lead author Bistra Dilkina at Georgia Tech. "By incorporating economic costs and multiple species needs directly into the planning process, it allows for a systematic exploration of cost-effective conservation plans and informs policy-makers about trade-offs, both between species as well as between costs and connectivity benefits." The researchers had been asked to help identify parcels of potential interest if opportunities arose to purchase land for wildlife corridor purposes. "If the scientific community were asked which land should be a priority to purchase for connectivity, the issue was whether or not we could answer that question," said Montgomery. The research team developed a method for combining two types of landscape data in a computer model: tax records that show the market values of land and ecological information about the ease with which animals can move across the landscape. They then applied the model to the design of corridors to serve grizzlies and wolverines. They compared corridors for bears and wolverines separately and together. The cost of buying land to serve as ideal migration corridors for wolverines and grizzlies separately came to about $31 million. However, by combining corridors that meet most of the animals' needs and including the cost of buying land in the analysis, the researchers cut that cost to about $8 million. The corridors that the researchers identified pass through key breeding habitat for wolverines in western Montana. 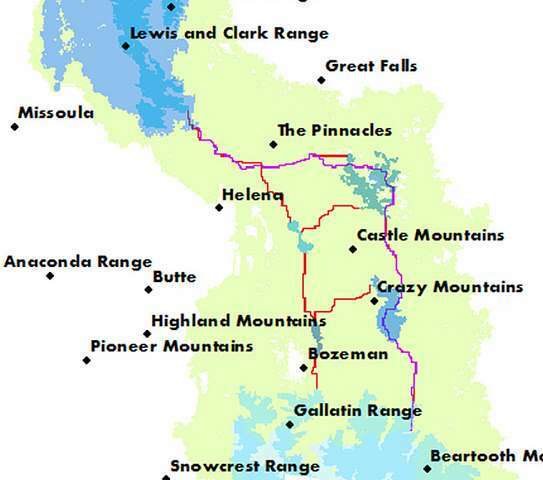 The routes connect the Greater Yellowstone Ecosystem in and around Yellowstone National Park with the Northern Continental Divide Ecosystem, which extends as far north as the Canadian border. The closest points of the two reserves are 130 miles apart as the crow flies, but the corridors are longer, reflecting the animals' complex habitat needs. A corridor that meets the ideal needs of grizzlies was calculated to be about 231 miles long. Since wolverines require snowpack for reproduction and tend to prefer high elevations, the researchers identified a network of pathways that served the elusive animals. "Many efforts have tried to prioritize which lands to swap or purchase for connecting rare species given biological and economic realities. This new research leads the way in optimizing the use of scarce resources to achieve essential connectivity," said Michael Schwartz, director of the U.S. Forest Service National Genomic Center for Wildlife and Fish Conservation and co-author of the study. "It provides a transparent solution for optimizing connectivity while taking into account economics." Implementing the new method requires a large amount of data about land values and barriers to animal movement. The researchers chose to work with the State of Montana because it maintains an exceptional database of land parcels for tax purposes. For information about barriers to movement, the scientists calculated a "resistance" score for each parcel. Parcels with higher scores were judged to be more difficult to move through, so land with lower scores was more likely to be included in a potential corridor. In each case, the corridors were presented as a potential example of connectivity, not an actual project involving a land purchase. More information would be useful to implement such a proposal. 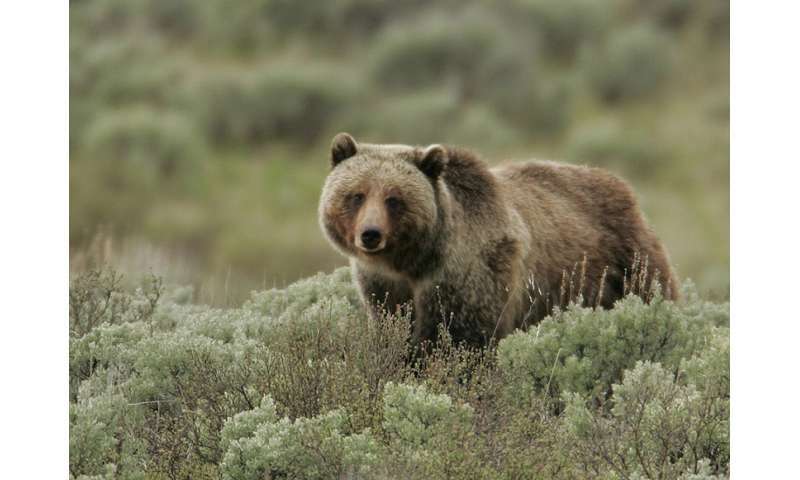 "Even with high-profile species like grizzly bears and wolverines, more data about habitat needs would be beneficial for long-term planning," said Rachel Houtman, co-author on the paper and a research assistant at Oregon State. Montgomery continues to evaluate ways to enable forest landowners to simultaneously achieve their management goals and to meet the habitat and migratory needs of wildlife. "Instead of saying we're going to buy these lands, how can we protect the functionality that's there or improve it? That's a lot harder to analyze," she adds.